The right large conferencing service can give your business a much needed boost. You can reach more of your target customers for your announcements or event-driven advertising. Moreover, knowing how to maximize the features of a large conference provider can save you a lot of time and money when you need to organize your remote workforces and in-house staff for seminars, meetings and workshops. This can even be a tool for your team building activities, especially when you have lots of remote agents, in-house staff and management personnel at several locations all around the world. Reliability – Conference call dependability and reliability is a crucial measure before putting your complete faith in the service. It is the idea of smoothly conducting the conference call even if the volume of audience increases by a noticeable margin. In case of geographical hazards, equipment damage or poor and distorted connection, the service provider should realize the responsibility of immediately troubleshooting and resolving the concerned issue. Once the requirements have been disclosed, the services promised should be delivered in good health and in full confidence. Conference Call Security – When dealing with a large conferencing call service, the foremost concern of the host and guests is the security of the crucial data being confidently exchanged. Multiple full- proof features by service providers help achieve standards of safety during a call. This leaves no chance of hacking or illegal interruption, such as phishing attacks or unwanted guests listening to your confidential internal business events. These security protocols include data encryption, unique single event and temporary PIN codes, access restriction, practice of roll calls, verifying the pre-defined list of names with those joining, etc. Professional Operator – Expert moderators or assistants may be hired by those hosting large event calls to prevent mishaps. This can ensure that your large event conference call runs as smoothly as possible. This also helps your organization to portray a professional image in front of other high-profile companies. Look for an operator who provides essential assistance such as speaker training, technical troubleshooting, pre conference coordination, etc. This support ensures your peace of mind when things do not go as planned and you feel a dire need of assistance. Additional Features – Some large conferencing call services include bonus features. When used wisely, these can greatly benefit the entire session. These include muting or unmuting specific participants, recording and replaying the call as per needed and by authorized individuals. Tools for quickly logging meeting agenda and goals for the session being conducted should also be available. 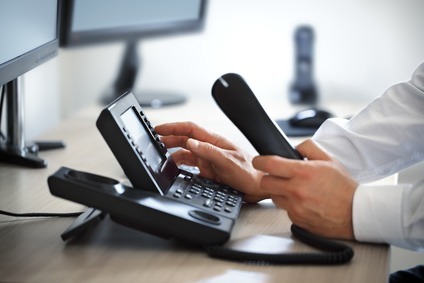 Some providers integrate features that can allow you to conveniently take surveys or feedback at the end of your call, generate reports for the minutes of the meeting including who joined and when, perform call registration protocols, send out invitation emails or phone calls, and to customize introductory greeting scripts. Count of participants, assembled list of participant details, summary, action plan for the next conference call and so on should also be conveniently possible through the tools and features of your chosen large event conference call provider. In order to take advantage of this new technology, it’s important to know how to fully use its most beneficial functions. These must-have features when combined can turn simple calls into successful large event conference calls for your business.